Randy Disher is perfectly happy living with Monk’s old assistant Sharona and working as the new police chief of Summit, New Jersey. But when the city’s leadership is arrested for fraud, he suddenly finds himself appointed acting mayor and overwhelmed by the dual responsibilities…especially when the town is hit by a wave of robberies. 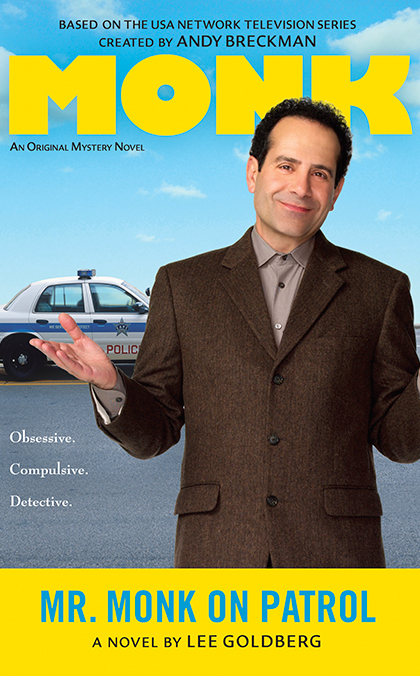 In desperation, Disher calls on Adrian Monk to put things in order. As deputized officers, Monk and his assistant Natalie are ready to make Summit the cleanest city on earth—until the burglaries escalate to arson and murder. Now it’s time to get down and dirty, before someone sends Monk and Natalie home in pine boxes.